The new school year is about to begin! Good luck on your new school year! May you learn from the mistakes of the past year and build upon its successes. With that idea in mind, we suggest that you avoid making the following grammar, spelling, and usage errors. English and writing teachers absolutely hate them. We didn’t include it because “might of” isn’t necessarily wrong: The might of Zeus is seemingly greater than that of Krillin. Of course, in a sentence such as “I might of won the trophy if I had practiced harder,” “might of” is absolutely wrong. It should be “might have” (or “might’ve”). If you make these mistakes often, an easy way to avoid them is to always use “could have,” “should have,” “would have,” and “might have” — instead of using their contractions. After all, many teachers and editors frown upon the use of contractions anyway. They are not the same thing, nor can they be used interchangeably. 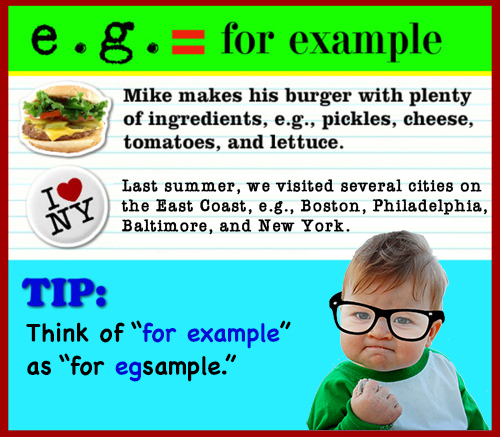 You should never add “etc.” after either one. They don’t need to be italicized. You should put a comma after e.g. and i.e. UPDATE: The SAT is no longer scored on a 2400-point system; it's out of 1600.
ℹ️ In case you’re wondering, e.g. is short for exempli gratia; i.e. is short for id est. They’re both from Latin. In spoken English, we get away with using anyways all the time. Why? Most of us don’t have the grammar police correcting every little mistake we make in conversational English. And because no one corrects us, we assume that it’s right. 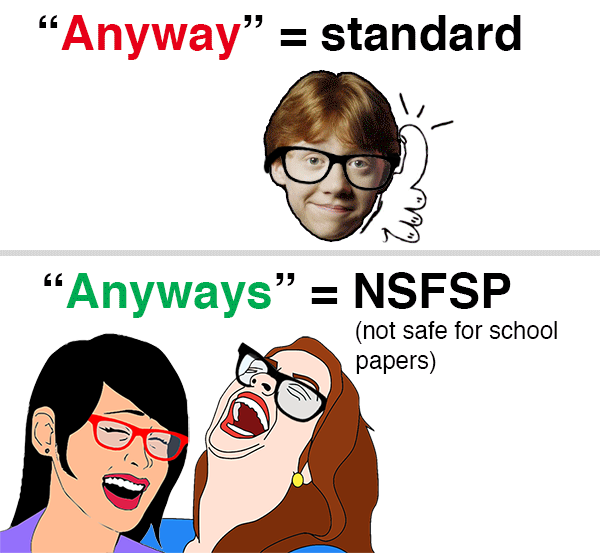 Anyways is considered an informal variant of anyway. It should only be used in informal conversations. Get into the habit of using anyway even in your text messages, tweets, and Facebook and Tumblr posts.